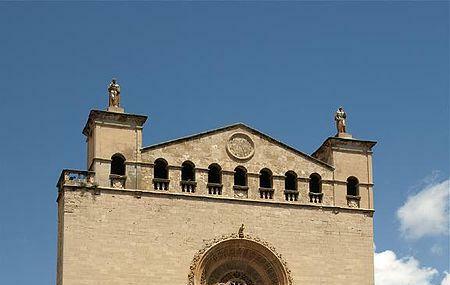 Sant Francesc Church is a church and a convent in the city of Palma. Founded in 1281, this Gothic style church is located in the heart of the old town. The facade of this church features Mallorcan elements. The lovely and peaceful cloisters of the church are lined with orange and lemon trees, this is a great place to explore. Inside the church is the tomb of Ramon Llull. This is a ‘must see’ in Palma, absolutely stunning. Enter via the cloisters and allow yourself plenty of time to soak up the history and atmosphere. Truly stunning. One of the "must" in Palma if you visit. Great basilica and extremely beautiful gothic cloister. Very nice place and good alternative to the big and crowded Cathedral. Here you have a total quite atmosphere and with the luck we had an outstanding pipe organ concert/exercise for free. Nice and calm and totally recommendable.